Double spur carbide tipped single flute auger. The FIREBALL is a general purpose, carbide-tipped, wood boring bit. Milled from a single piece of steel with a solid center and a truly unique flute design. 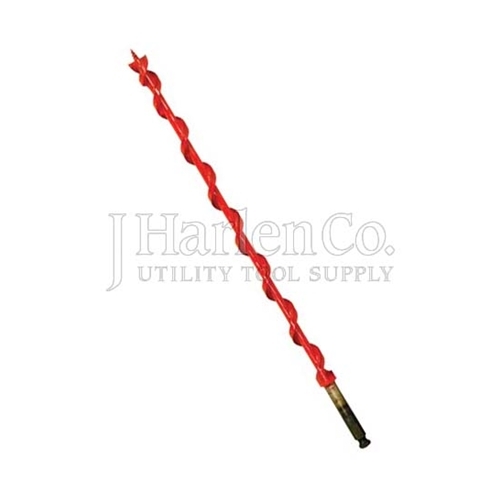 This enable sit to out perform and out last any ordinary steel auger bit. It features a patented double spur, carbide-tip and its proven, power-auger flute design. This design produces numerous straight holes and is self-feeding.